Birth Hypnosis – Does it Really Lessen the Pain? The concept of having an unmedicated birth is becoming more and more popular with moms today. The idea that women are capable of allowing their bodies to deliver their child naturally, without any drugs or outside pain relievers, has been a source of empowerment and encouragement among many women around the world, and is increasing in popularity here in the United States. However, especially for mothers who have never gone the un-medicated route before, this idea may be terrifying. The fear of the unknown, the anxiety of what the pain would feel like, the worry that it would just be too much to handle – it’s a totally understandable and relevant feeling. While many moms might already be aware of the concept of birth hypnosis, others might be skeptical of the idea. Does it really lessen the pain? Does it really help make the experience more peaceful and less fearful? Or is it just a bunch of mumbo-jumbo? I, myself, had already made up my mind that I was going to try this out for my second child. More than anything, I wanted an easier labor, and I decided I had nothing to lose but to give Hypnobabies a shot. Little did I know, our Baby Chick, Nina Spears, also recommended this same program to her doula clients, and used this with the birth of her own son as well! 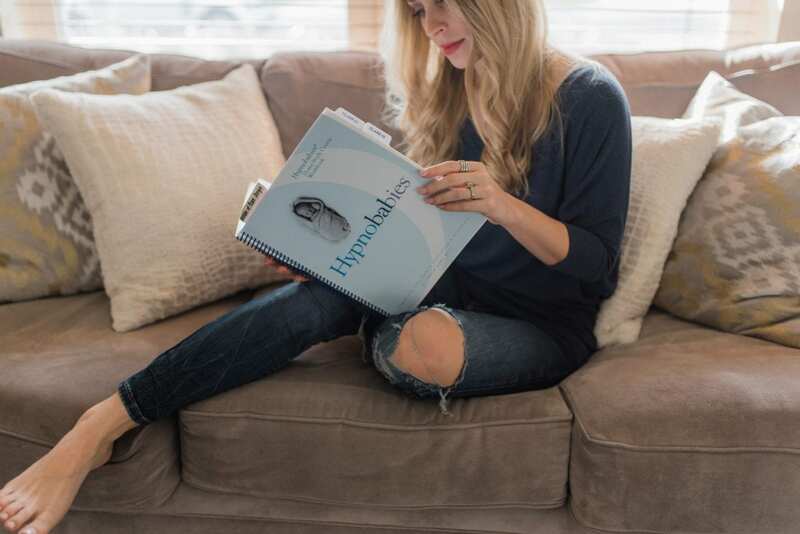 We thought it would be interesting for you moms to read about our birth hypnosis experiences with Hypnobabies, explain how it works, and why we will never have another baby without this program by our side! What is birth hypnosis, and how does Hypnobabies work? Clinical hypnosis used for medical purposes is a practice that slows the pulse and respiration rates, lowers blood pressure, and lessens or eliminates pain entirely. Doctors and dentists use this method with their patients to create “hypno-anesthesia” for patients who are allergic to medical anesthesia. 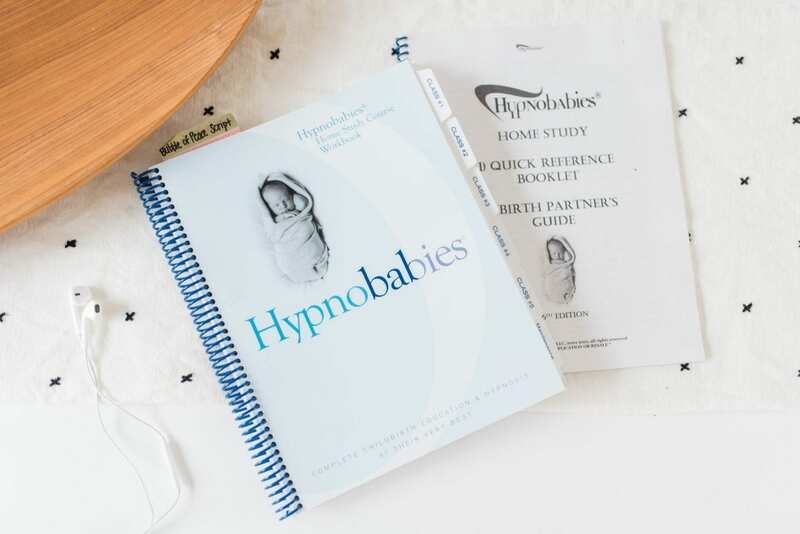 Hypnobabies teaches the same techniques for expectant mothers, allowing them to experience their contractions as “pressure sensations” or a “tight squeezing sensation,” which minimizes or eliminates labor discomfort. And no, it’s not like the hypnosis you see on TV, where you completely lose consciousness of what you’re doing. This method teaches you to be in total control over your mind and body the entire time, and to experience labor in a totally different physical and emotional manner. Hypnobabies is a complete childbirth education program. It empowers moms with skills to help eliminate challenges and any discomforts that may come with pregnancy and childbirth. Instead of “pain management and coping skills,” Hypnobabies teaches that childbirth can be easier and more comfortable through the medical hypno-anesthesia method. It helps moms remain in control of their birthing bodies with powerful and effective hypnosis suggestions and physical relaxation cues to produce a safe and more enjoyable birth experience. This is a great option for all expectant moms, whether the mom chooses to give birth in a hospital, a birth center, or in her home. 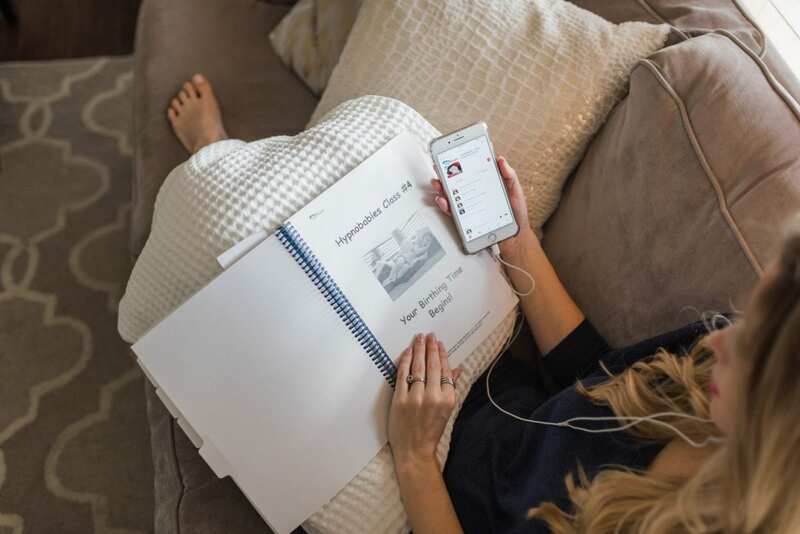 There are 3 ways to study Hypnobabies: attend a live Hypnobabies class with a certified instructor, choose the Classic Hypnobabies Home Study Course, or the Online Home Study Course. When I first got pregnant with my daughter almost 4 years ago, I knew that I wanted to go the unmedicated route. 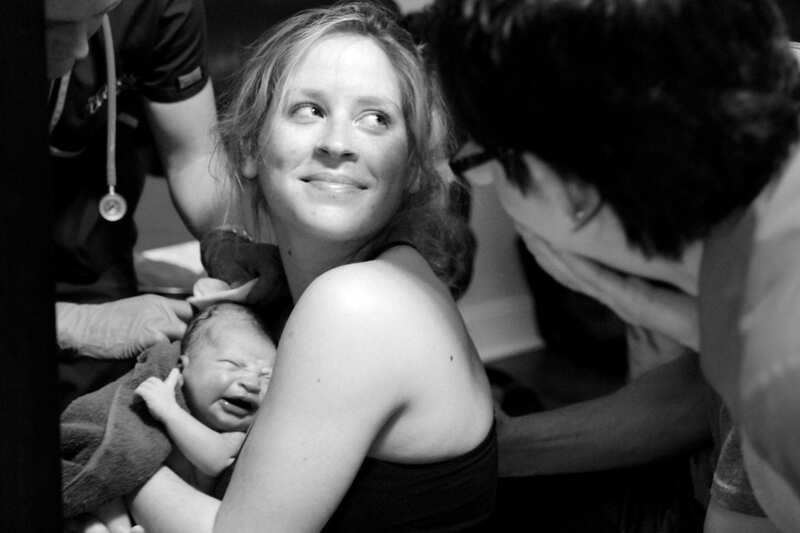 I used a midwife and doula, and had the baby at a birth center. The experience, however, was beyond intense – and quite frankly, I was incoherent during most of my labor because I was so focused on how bad it hurt. Though my body did its job, and my daughter was born perfectly healthy, I was determined to find another way to have a more peaceful labor and delivery experience for my next child. I became pregnant with my son two years later, and I asked my friends on Facebook for recommendations of programs that provided pain relief techniques and training your mind to shift focus from the pain to other things instead. 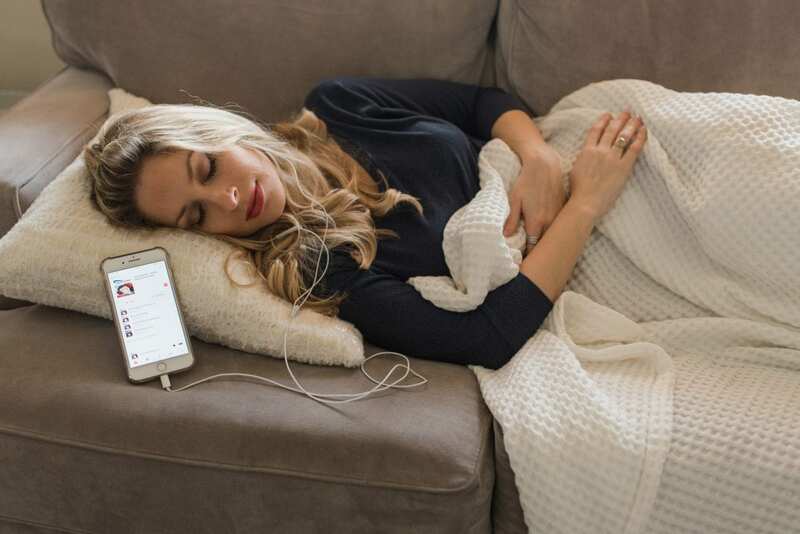 I had multiple friends recommend Hypnobabies – and after researching it, I decided to give it a shot. I diligently listened to the tracks and went through the program throughout my entire pregnancy. Once it came time to have my son, I felt fearless, mentally prepared, and actually quite excited to experience the pressure waves of labor. The whole time, I had my ear buds in, listening to each track that went along to my birthing stages. And friends, let me tell you – I was completely coherent the entire time, never experienced any anxiety, and the experience “pain-wise” was easily at least 80% easier than with my first birth. I was able to walk, talk, move around, eat and drink, and go from room to room during every stage of labor. In fact, the program worked so well, I didn’t feel his head crowning until my midwife actually told me it was! The fact that this form of birth hypnosis worked so well for me, and made the experience absolutely beautiful – I will always, always encourage the Hypnobabies method to any other moms who choose to have unmedicated birth experiences, too. Ever since that birth I knew that childbirth could be different for women. It doesn’t have to be scary or feel like you are completely out of control. You can be more in control, work with your body, and have a pleasant and – dare I say – enjoyable experience. Since that birth I have attended many more Hypnobabies births and each woman who has committed to the class has said that it helped them more than they expected. I believed in it so much and wanted to help more women have these empowering experiences that I even became a Hypnobabies Certified Hypno-Doula. When I became pregnant with my son I knew that this was what I wanted for my own birth. So that’s what I did. Whenever a client is truly committed and wanting an unmedicated birth I always tell them to look into Hypnobabies. So does birth hypnosis work? Our short answer – YES. Because I had a birth without Hypnobabies years ago, it was easy for me to compare the difference between my two children, and realize that the experience was a thousand times more enjoyable with Hypnobabies. And because Nina was able to see these methods implemented during many births she attended as a doula, and with her own birth as well, she’s seen how well Hypnobabies works time and time again. If you are deciding to go for a natural, un-medicated birth, you will also see that choosing Hypnobabies will make your experience memorable, empowering, and beautiful! Choosing Where to Give Birth: Do You Know All of Your Birth Options?